US equity indexes closed significantly higher, sp +36pts (1.4%) at 2656. The two leaders - Trans/R2K, settled +1.6% and +0.9% respectively. 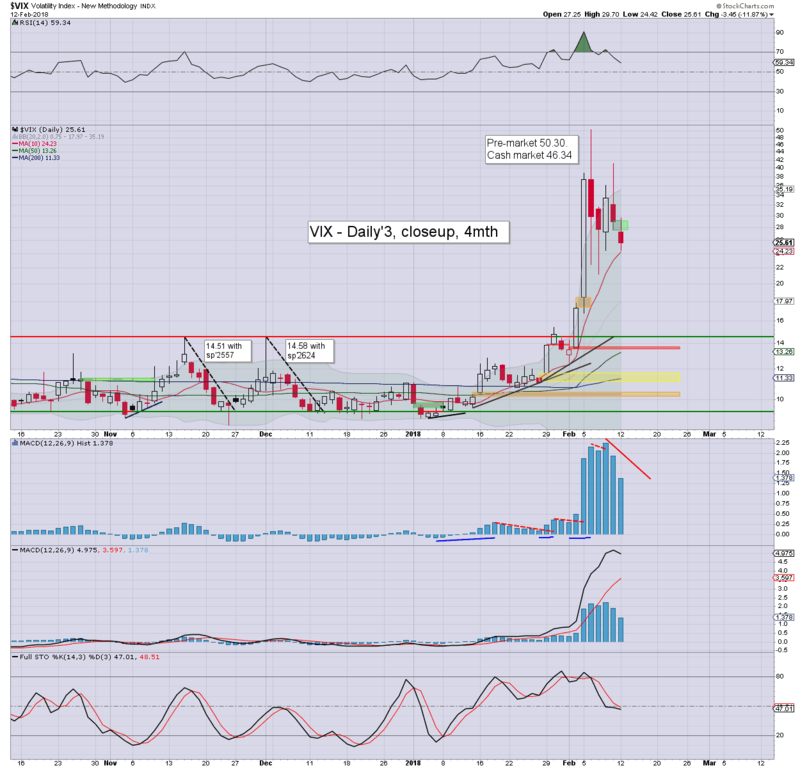 VIX settled -11.9% at 25.61. 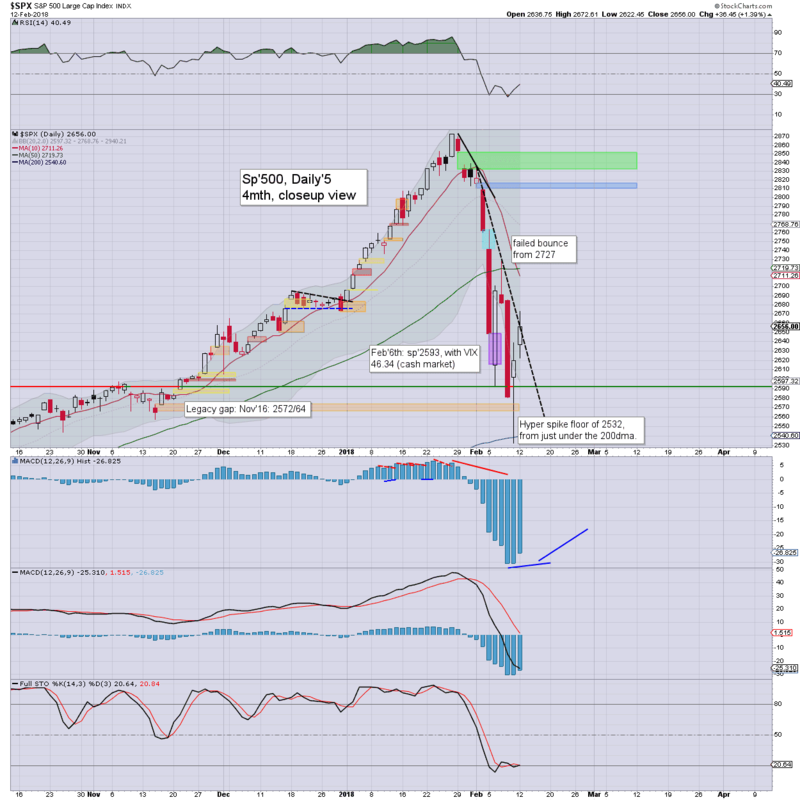 Near term outlook offers further upside into the low sp'2700s, where things start to get complicated. US equities opened significantly higher, and after a cooling wave (almost to break even), resumed strongly upward. Today gives strong confirmation that last Friday saw a key low of sp'2532. The low 2700s seem a given by Thurs/Friday. 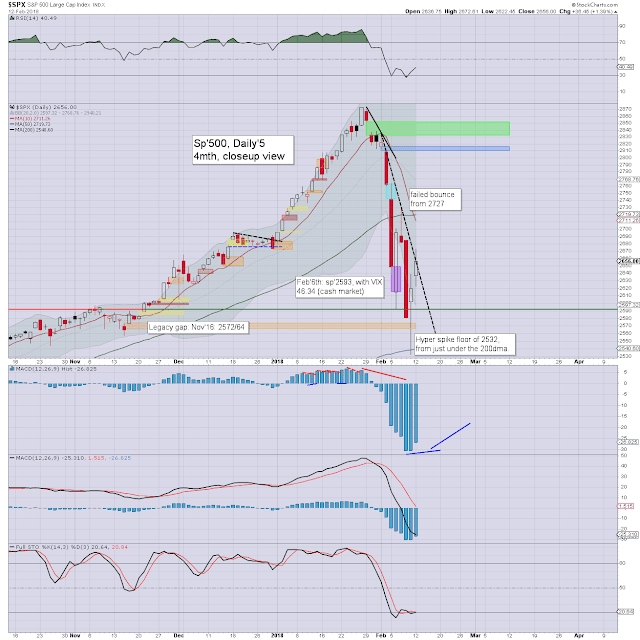 Things will get increasingly tricky, with many aspects of resistance from the 2700s upward. We also have two upside gaps in the 2800s. It was a mixed day for volatility, seeing an early low in the 26s, then swinging to the 29s, before further cooling to the 24s. What is perhaps most notable about the VIX lately, are not the recent hyper spike highs, but that its sustainably elevated. Just consider that last year only saw the 17s. The next few days should favour the equity bulls, but lets be clear... there is a threat of something much more severe into March. More on that in a few days, once we're in the 2700s.